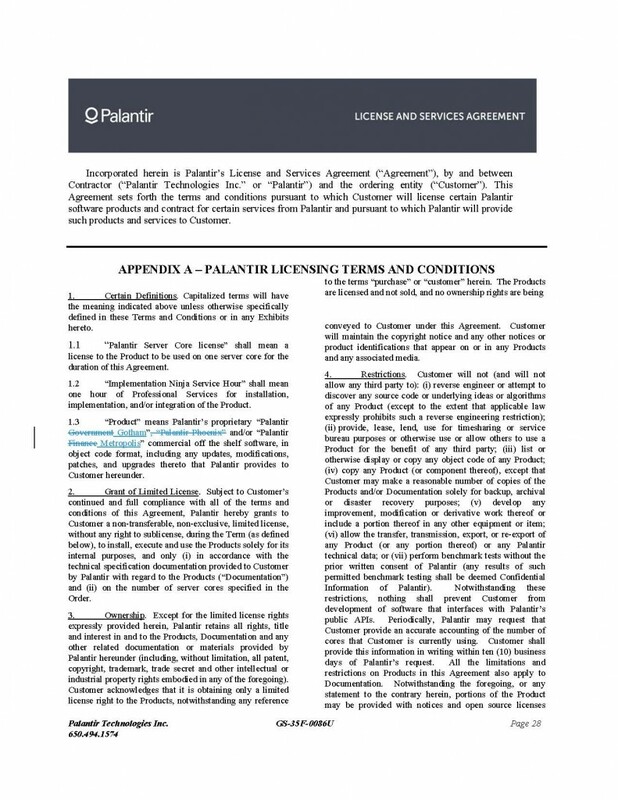 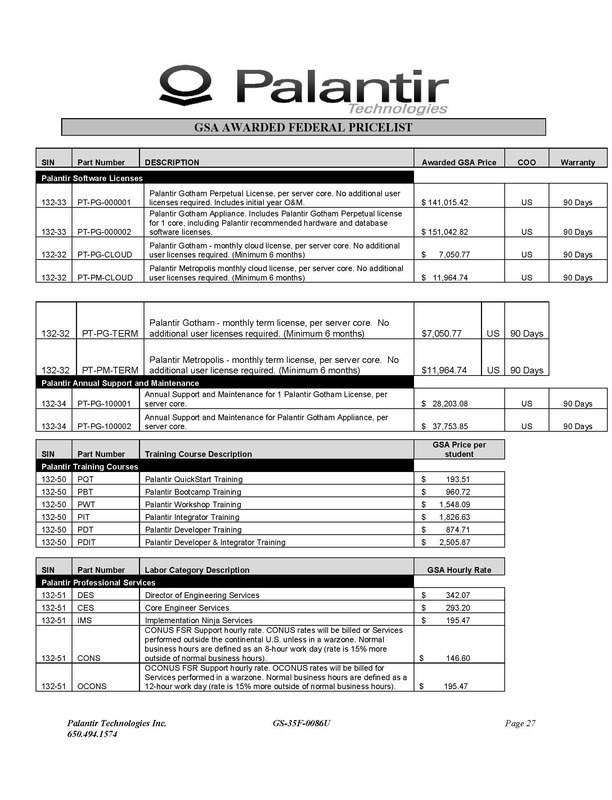 The following is a pricelist from the General Services Administration for products of Palantir Technologies including Palantir Gotham and Metropolis as well as the Palantir license agreement and terms of service. 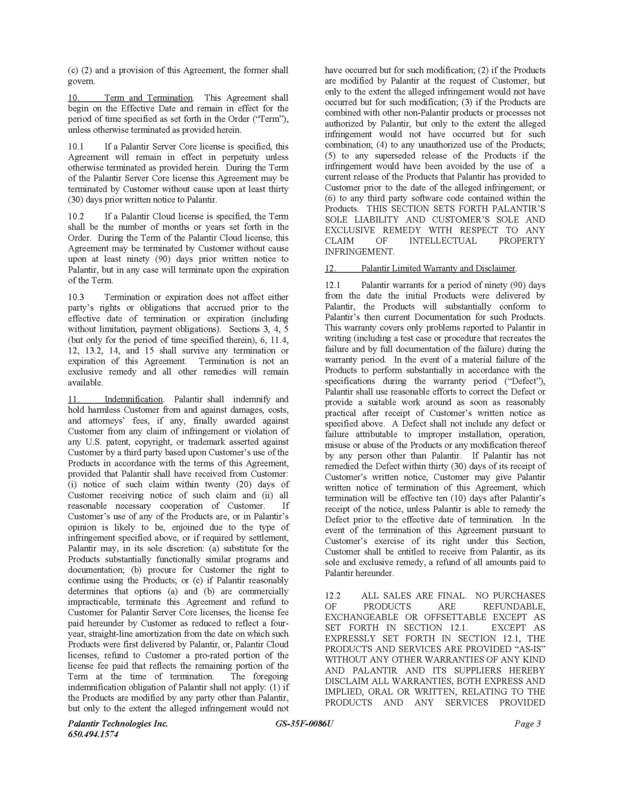 A link to the pricelist was originally posted to Hacker News after which the document was apparently removed from gsaadvantage.gov. 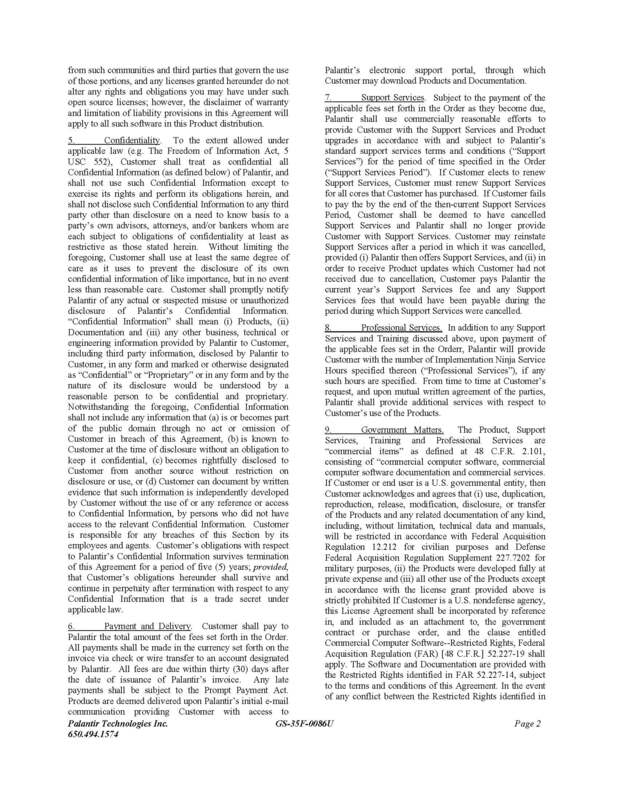 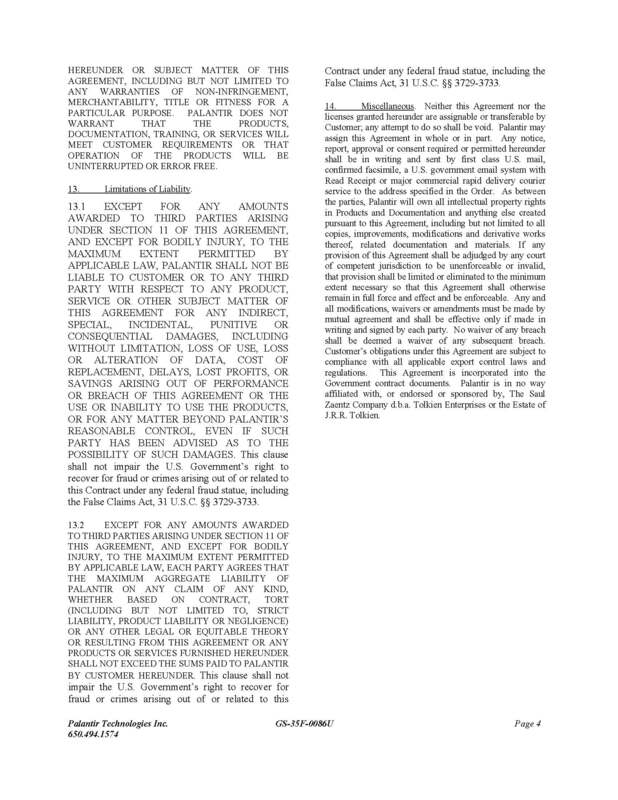 This version was obtained from a cached version of the page maintained by the Internet Archive.